C & J Clark International Ltd was founded in 1825 by Quaker brothers Cyrus and James Clark in Street, Somerset where it still has its headquarters. Trading as Clarks, the company has over 1,000 branded stores and franchises around the world and also sells through third party distribution. They needed help managing their CSR and asked us to carry our some business software modifications to provide an effective and speedy solution. In 2006, Clarks’ production was re-located abroad, using factories predominantly located in Asia. Clarks is passionate about CSR, but needed to fulfill their social and environmental responsibilities in a time efficient and cost effective way. Clarks were recording information on sustainability activities in databases and spreadsheets, but these programs were struggling to cope and they were simply not getting the level of information and reports they required. They needed to manage a large number of different types of information and data – from the total discount given to TAMBA (Twin and Multiple Birth Association) members to the sustainability audits of their Far-Eastern factories. However, they also needed the system to be scalable and adaptable to incorporate new policies, activities and huge quantities of data (such as emission figures). They needed some business software modifications quickly, and Benchmark were the obvious choice. 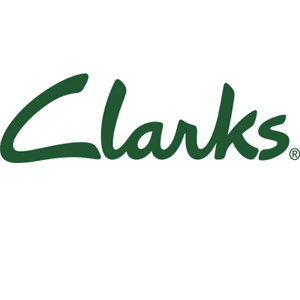 We adapted and modified some of our existing software so that Clarks had the ability to take different types of performance indicators and make them specific to their diverse sustainability activities. Each performance indicator is linked to the specific activity, which is then linked to their overall objectives. Each activity can then be linked to a reporting structure and the data reported on in any way required. So, at any one time, they can see all their performance data, measured against activities and corporate objectives, and according to different reporting structures such as the Global Reporting Initiative (GRI) and the Global Compact principles. There is also the ability to create their own reporting structure. Matt Turner, Head of Social Responsibility.